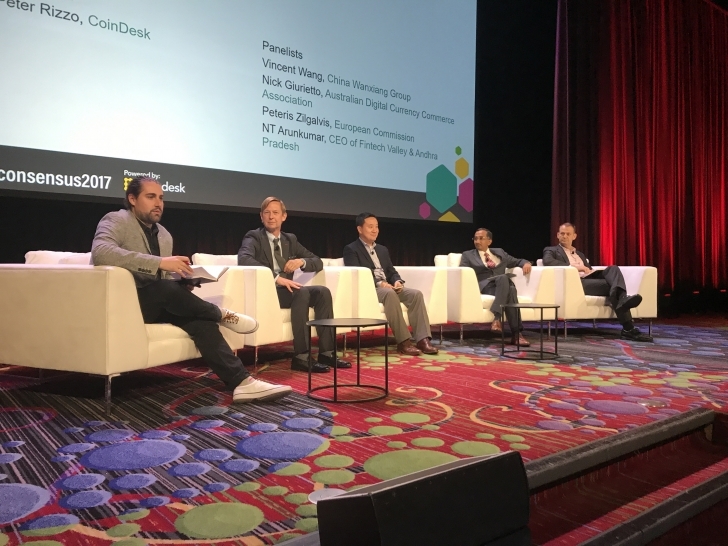 While CoinDesk’s Consensus 2017 blockchain conference may be over, that doesn’t mean you have to miss out on the action that took place on the main stage. From breaking announcements by entrepreneurs to key insights by leaders from a wide range of industries, regulators and everything in between, the three-day event was abuzz with activity. In the end, more than 2,700 people attended, coming into Times Square from around the world. 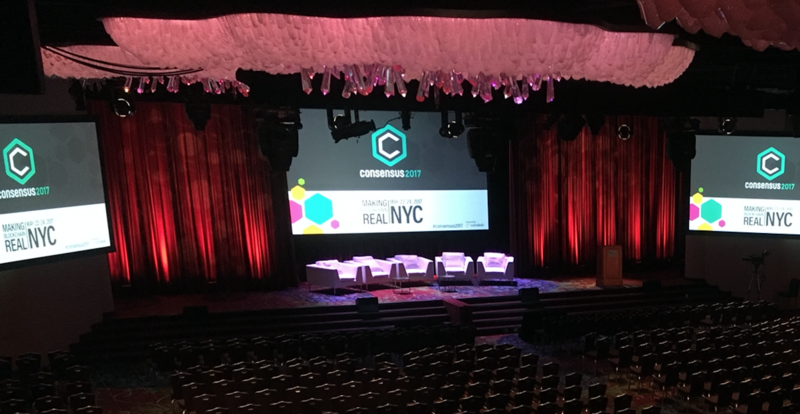 And so much happened at Consensus 2017 – you can catch up on our video segments on Twitter, with video releases coming soon – we’ve wrapped up some of the biggest moments that took place on the event’s main stage this week. 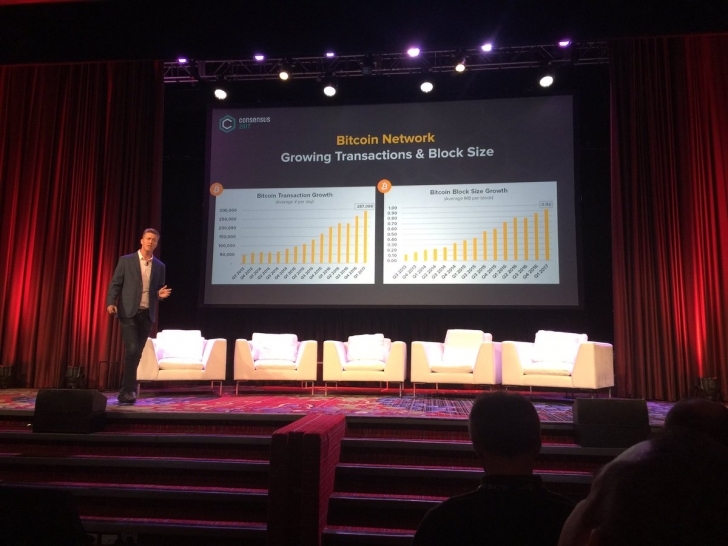 CoinDesk’s Alex Sunnarborg gave the opening presentation at Consensus this year, providing a broad-ranging overview of the blockchain and digital currency sectors. You can dig into a preview of the State of Blockchain 2017 report by clicking here. If there was one panel that showcased the worldwide scope of blockchain, it was this one. Panelists drawn from India, China, the European Union and Australia dug deep into the core issues facing global adoption. The panel provided a key window into the area of public sector blockchain applications, including insights from NT Arunkumar, special representative for IT & Innovation for the government of Andhra Pradesh. Software giant IBM has made trade finance and supply chain management major planks of its blockchain strategy, leading it to ink cooperative deals with major shipping corporations like Maersk and global retailers like Walmart. 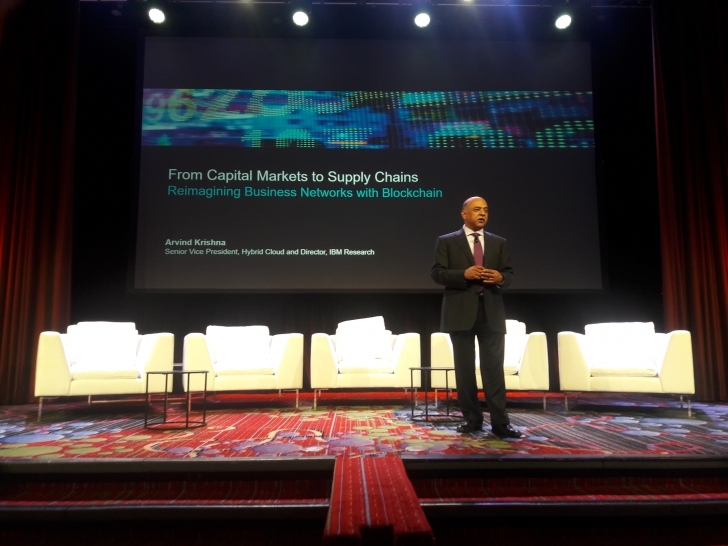 Arvind Krishna, director of research at IBM, took to the Consensus 2017 main stage this week with a bold claim: that the technology would save the shipping industry “billions”. Krishna told the audience that this could be achieved through the broad digitization of the certification process that takes place as goods move throughout the world. “We believe that just doing this kind of digitization can result in tens of billions of dollars saved across that network,” he said. With all the industry attention on initial coin offerings, or ICOs, it’s perhaps unsurprising that some of the more notable entrepreneurs in the space would move to tap the model to raise money. 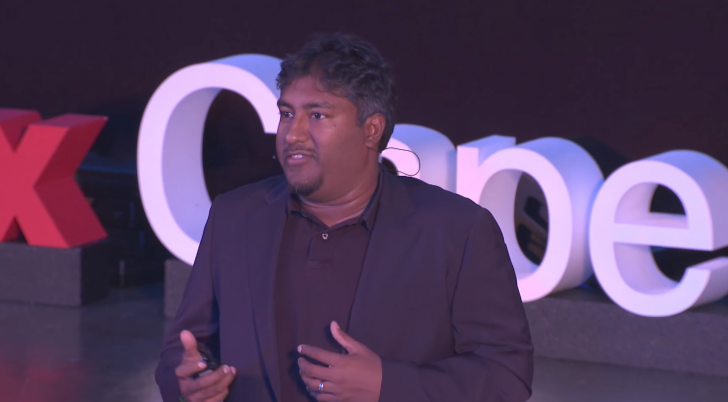 Among those was Vinny Lingham, the former CEO of gift card startup Gyft who departed that firm to start blockchain startup Civic, which was backed at the time with $2.75m in capital. Now, Civic is looking to raise as much as $33m in its ICO, the tokens of which will provide access to the product and allow token holders to benefit from its network effect, according to Lingham. Civic also launched its blockchain authentication service during Consensus this year. Consensus 2017 was undoubtedly a meeting of the minds, and perhaps no other panel quite capture this spirit than the State of Blockchain panel with ethereum co-founder Joe Lubin, bitcoin scientist Adam Back, Hyperledger executive director Brian Behlendorf and Richard Gendal Brown of distributed ledger consortium R3. It was a panel that brought together some of the leading figures of the world’s major blockchain projects. 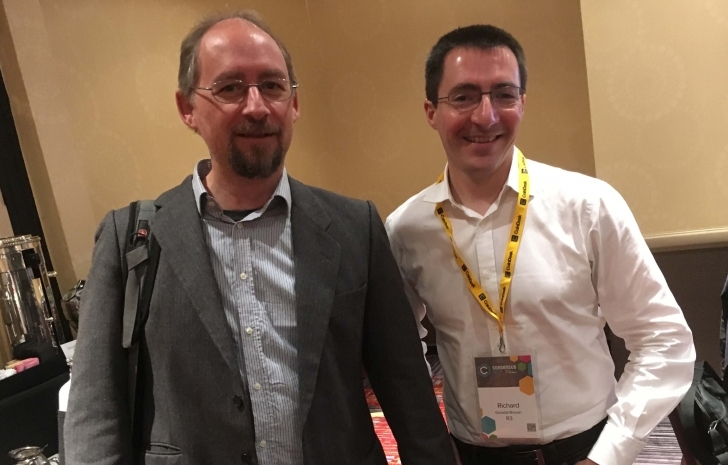 All told, the four predicted a future of blockchain interoperability, with Behlendorf predicting that the systems of the future will be “richly woven together”. Of the funding announcements made this week during Consensus 2017, one stood out for both its size and the fact that it has been long in the making. The startup behind distributed ledger consortium R3 closed the first two of three planned trenches in its Series A funding round, netting $107m from a global group of investors. Among the backers: Bank of America Merrill Lynch, HSBC and SBI Group, who stand among the consortium’s banking membership. ING, Banco Bradesco, Itaú Unibanco, Natixis, Barclays, UBS and Wells Fargo also took part. R3 CEO David Rutter unveiled the funding around at Consensus. This is one speech you probably didn’t expect. 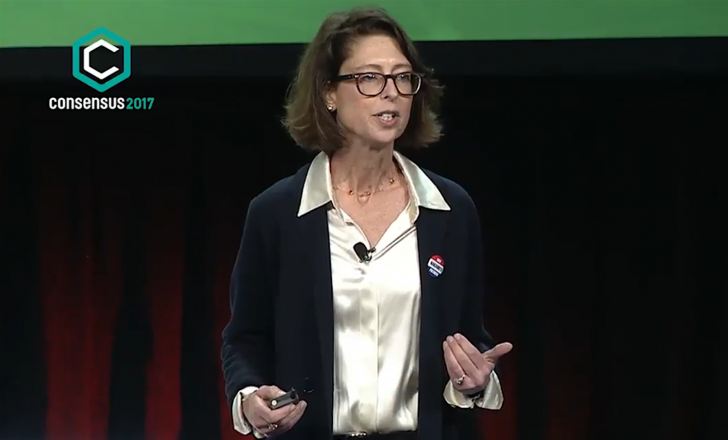 Abigail Johnson, chair and CEO of Fidelity Investments, announced that it is rolling out an integration with Coinbase to its wider customer base, having already done so for its employees. But on a grander scale, Johnson spoke highly of public blockchains like bitcoin and ethereum, breaking ranks, perhaps, with others in the finance space who want little to do with cryptocurrencies. 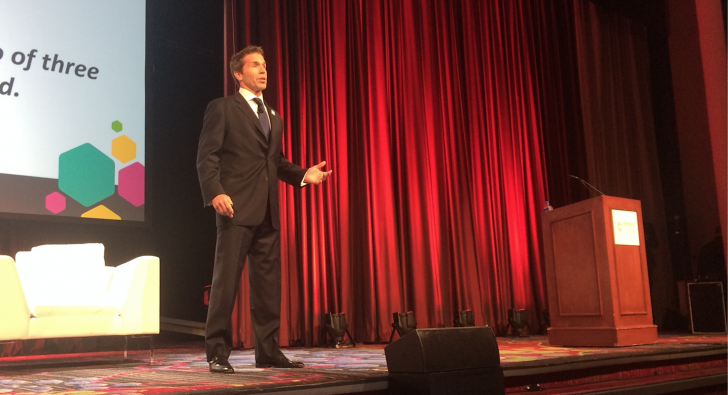 News of a blockchain-powered settlement system that’ll span the Caribbean was one of the more groundbreaking announcements to appear on the Consensus 2017 main stage. 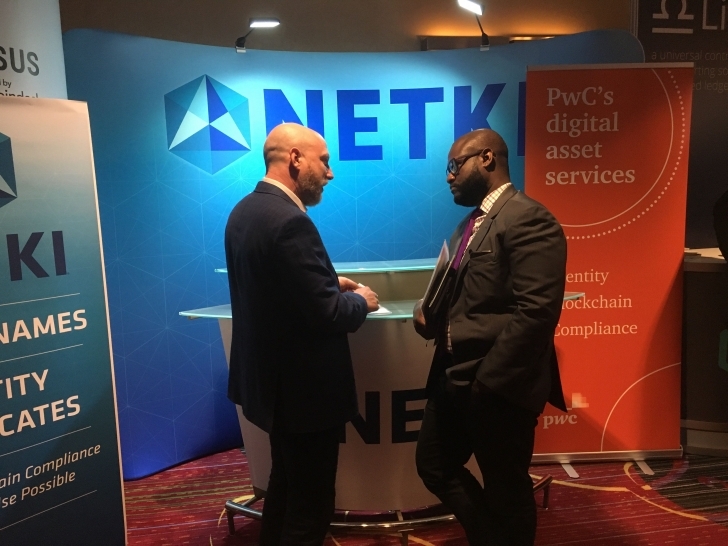 The brainchild of blockchain startup Bitt, the effort has drawn close interest from the Central Bank of Barbados, and is the focus of a new partnership with fellow blockchain startup Netki. The idea is to link the region – with its distinct local cultures, economies and currencies – via the tech, creating a wholly new settlement system. “The end-game solution is that central banks will be able to use legal tender issued on the blockchain, with all the checks and balances you’d have with regulated financial institutions,” Bitt co-founder Oliver Gale said of the project. Disclosure: CoinDesk is a subsidiary of Digital Currency Group, which has an ownership stake in Blockstream, Civic, Coinbase and Netki.